Stylish Mexican bistro with Puerto Nuevo-style cuisine in Hillcrest. 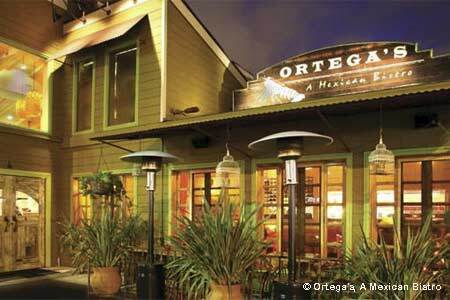 : Ortega’s, A Mexican Bistro is different from most San Diego eateries offering food from south of the border. No walk-up taco stand, the restaurant is a stylish sit-down establishment in the heart of Hillcrest. Guacamole is prepared tableside, and the black bean-pumpkin soup is thick, hearty and soul-warming. Tacos are indeed on the menu, but with a twist. Choose between epazote-cilantro chicken, adobo carnitas and huitlacoche-portobello. Or go for the cinnamon-roasted pork carnitas with spicy peppers, tangy tomatillo salsa and homemade tortillas. We like the good food combined with a laid back atmosphere and consistent service. Try a signature pomegranate margarita at the La Cantina Bar, which offers two daily happy hours.